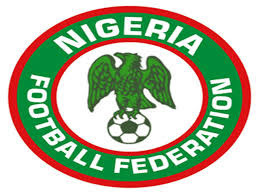 The Nigeria Football Federation (NFF) will protest to CAF against the hostilities received by Enyimba during a CAF Champions League clash against Etoile du Sahel in Tunisia Wednesday night. Enyimba scraped through to the group stage of the Champions League after they won 4-3 on penalties as aggregate scores were tied at 3-3. NFF president Amaju Pinnick said: “What happened around the Stade Olympique in Sousse on Wednesday bordered on extreme intimidation of the opposition. This is not football. Football is about peace, about love and about friendship. A miffed Pinnick said on Thursday morning that if it came to personally delivering the protest at the CAF headquarters in Cairo, he would be willing and ready to do so. “We will wait for the team to return from Tunisia so that we can get the full details of what transpired,” he said. Pinnick also pledged that the NFF will continue to give Enyimba all the backing as they go for a third CAF Champions League title. “The NFF board made the decision at their last meeting to give Enyimba FC full support to go for the African title. Nothing has changed,” he said. NFF’s acting director of competitions, Bola Oyeyode, said from Sousse on Wednesday night that a tense and intimidating atmosphere prevailed throughout the match, with Nigerian players and officials serially pelted with various objects.